In the heat of summer, nobody wants to turn on the oven! 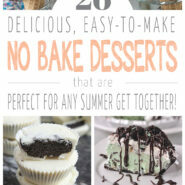 Luckily, there are tons of no bake desserts out there that are delicious, easy to make, and don’t require an oven! 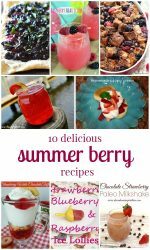 These desserts are perfect for feeding a crowd for a 4th of July picnic or summer barbecue, and you won’t heat up the whole house making them! 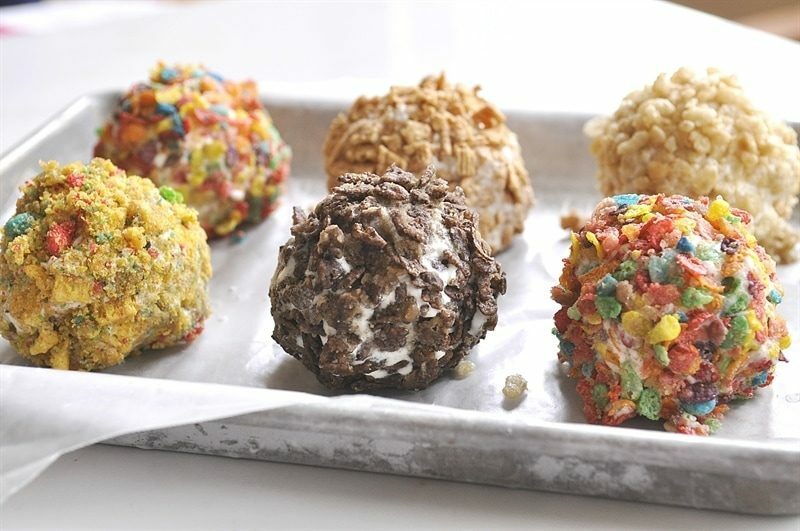 26 No Bake Desserts That Are Perfect For Summer! 1. Using graham crackers in your summer dessert is a classic. 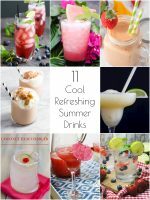 Ready to beat the heat this summer? This quick and easy no bake graham cracker dessert will definitely win the hearts of your kids. See the full instructions on All Things Mamma. 2. Find ways to level up your Oreo cookie game. Turn your kid’s favorite cookie into something more decadent. Once you take that first bite you’ll instantly be swept away! 3. Cake, whipped cream, and fruit…what could be better?! 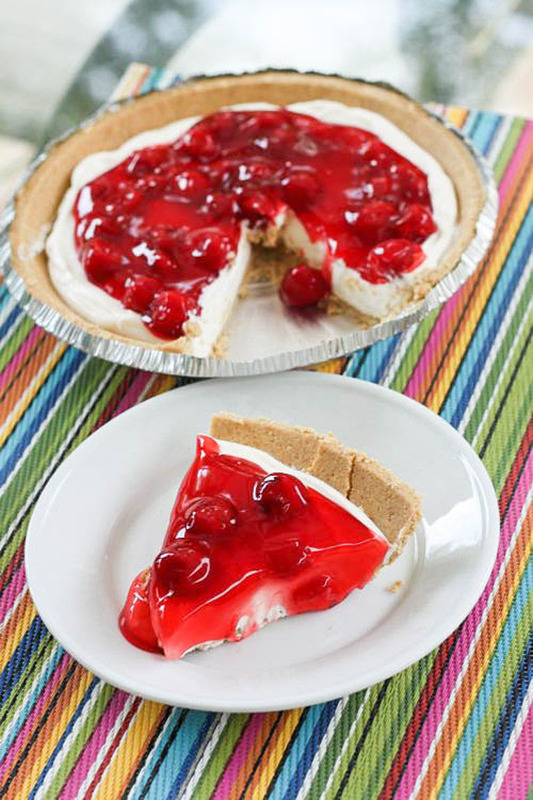 This is the perfect dessert for large get-togethers! It’s easy to make, you can make it a day ahead, and it serves a ton of people! 4. 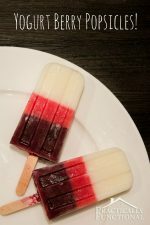 Summertime is popsicle time for kids. Kids of all ages definitely love healthy frozen treats. 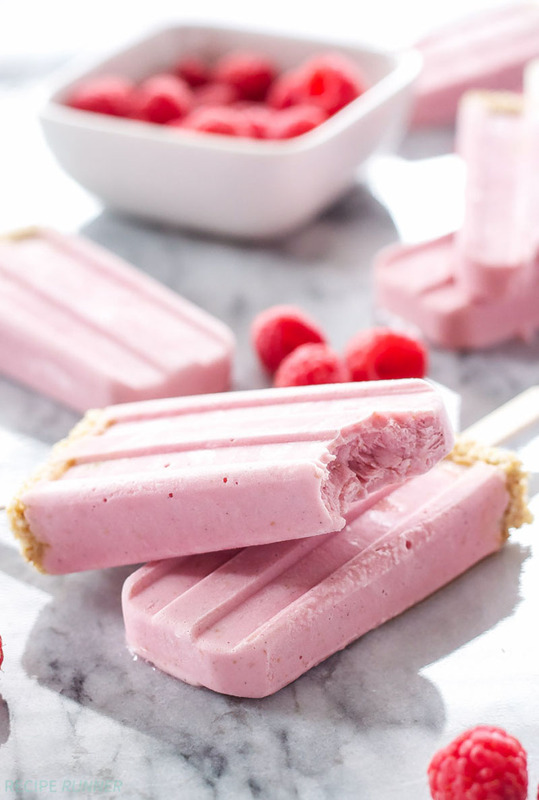 These frozen yogurt pops are the best of both worlds! 5. Create a show-stopping dessert. 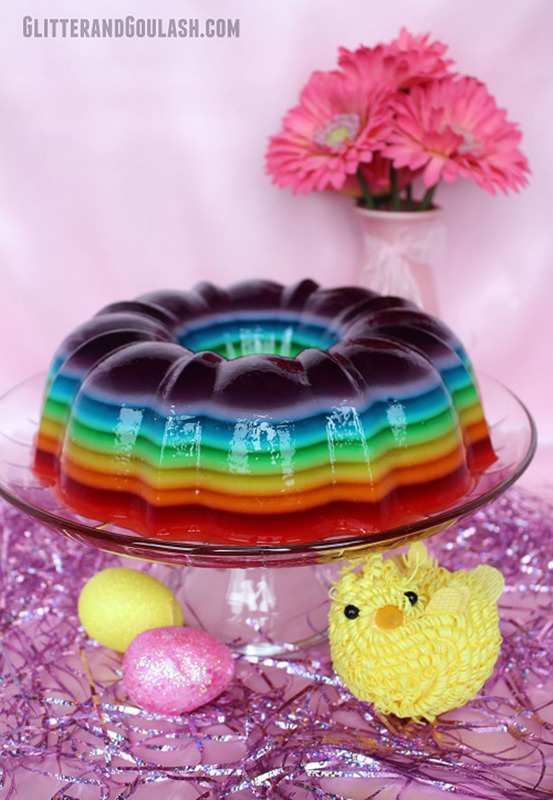 Impress your kids with this stunning rainbow colored Jello dessert served in a fun and pretty party style. Your kids will definitely fall for this! See the full instructions on Glitter and Goulash. 6. Fruit kabobs are so simple, but always a hit! Want a cool centerpiece for your patriotic party? This one is perfect! 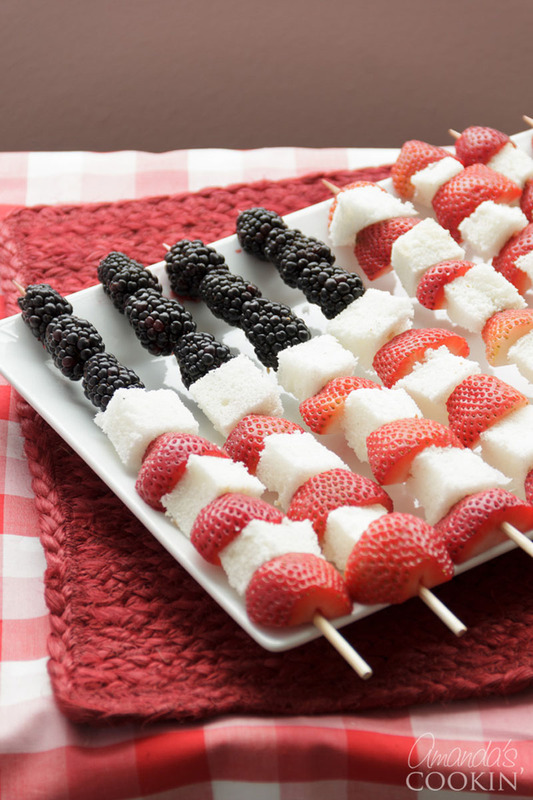 If you want your kids to eat healthy this 4th of July, just put some fruit on a stick! 7. Be creative and have fun with apple dippings! Kids definitely love picking their own choice of toppings for their treats. Sure, it will probably be a sticky mess, but that’s ok…it’s summer! See the full instructions on The Cozy Cook. 8. A whole new twist to fruit salad. 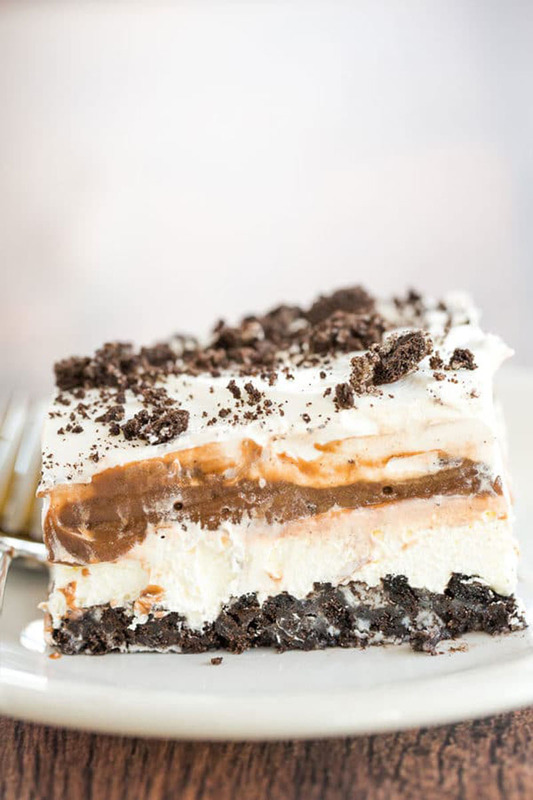 This dessert idea is heavenly! Frozen fruits can actually satiate those ice cream cravings, and they’re so much healthier. Plus the kids will love helping out with the dipping part! 9. You can never go wrong with mermaid themed treats. Mermaid themed foods are one of the latest trends in the internet today and it’s not hard to see why kids love this. 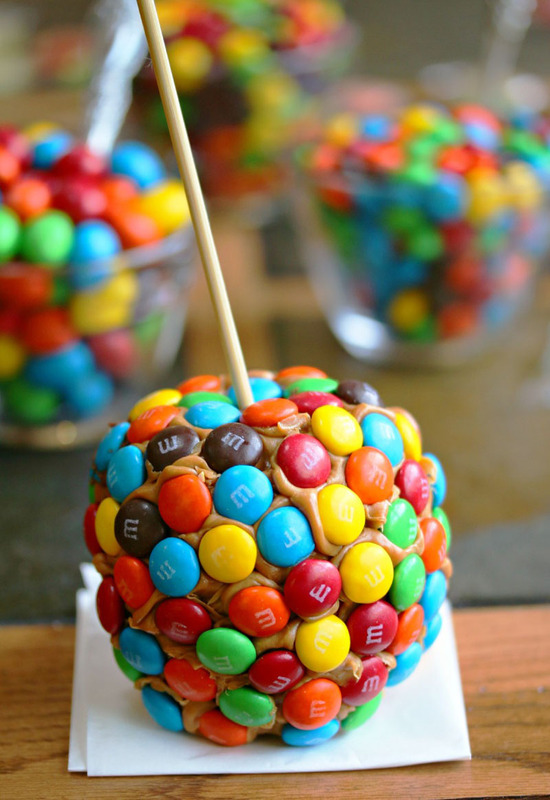 A must have for your summer parties or treat table! 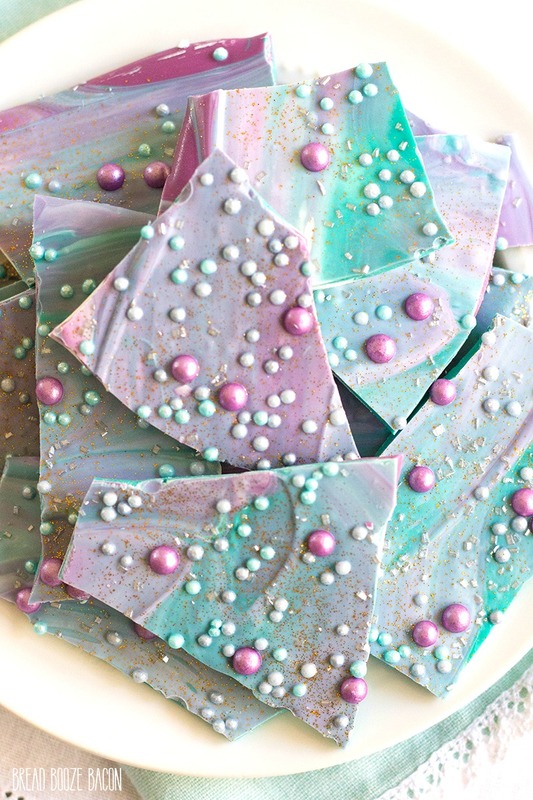 Dive in with this mermaid bark recipe from Bread Booze Bacon. 10. 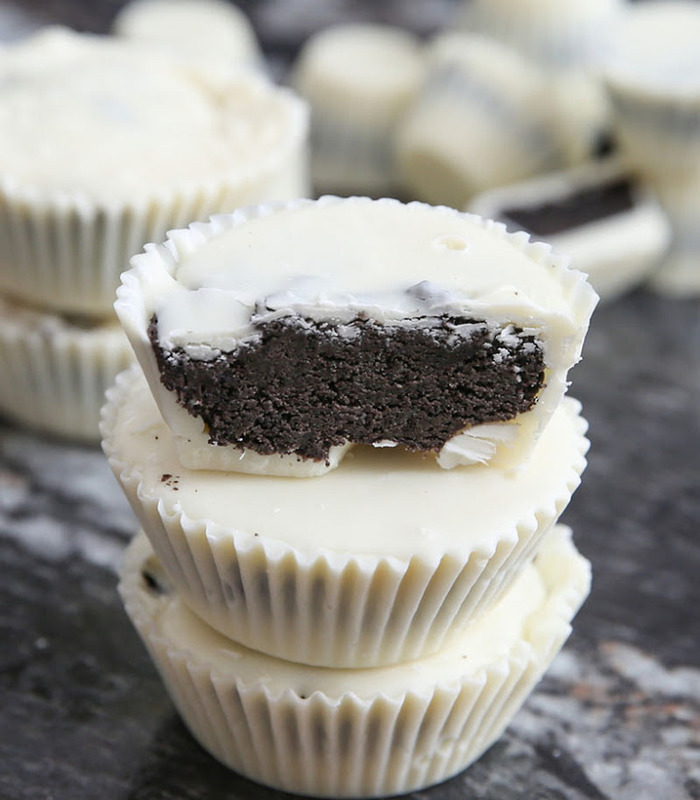 Chocolate cups are shockingly simple to make. Want to get rid of leftover candy bars and cookies? 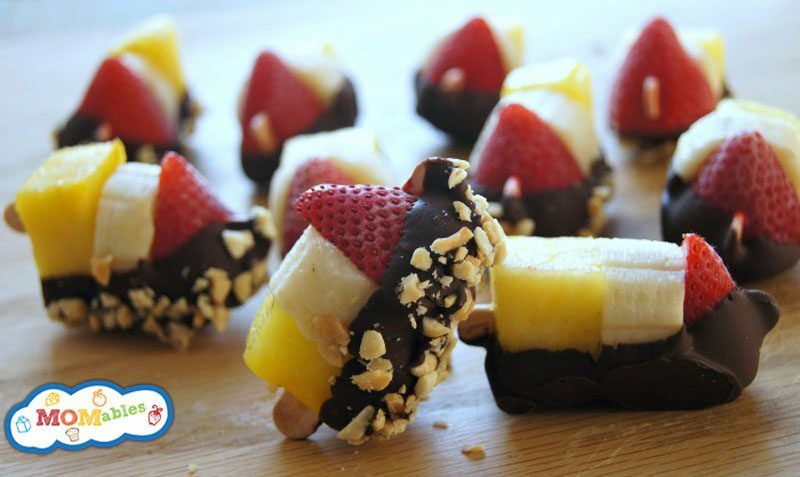 Leftover chocolate may seem like an impossibility, but this idea could just turn out to be your kid’s new favorite dessert. 11. Beat the summer heat with coconut desserts. Delicious and fancy enough for a party, but the kids will love them too. 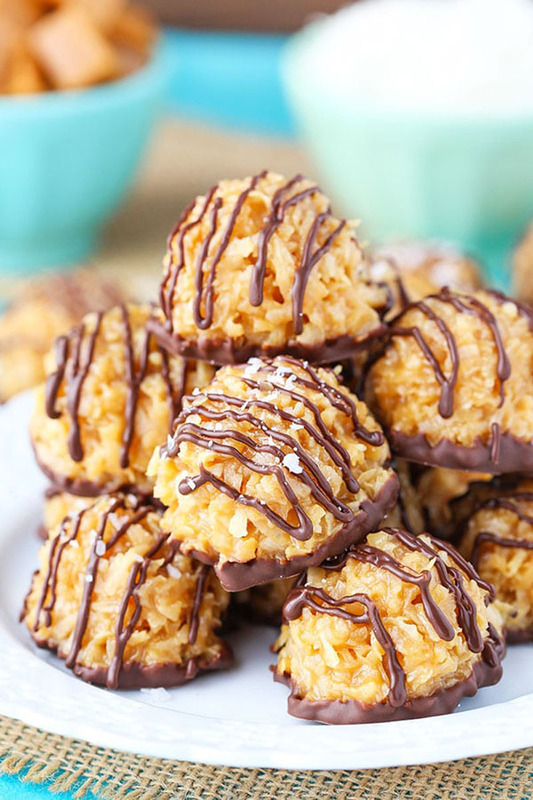 These macaroons are so chewy and irresistible, and made with tons of coconut goodness. Plus, they’re super easy to make! See the full instructions on Life, Love and Sugar. 12. 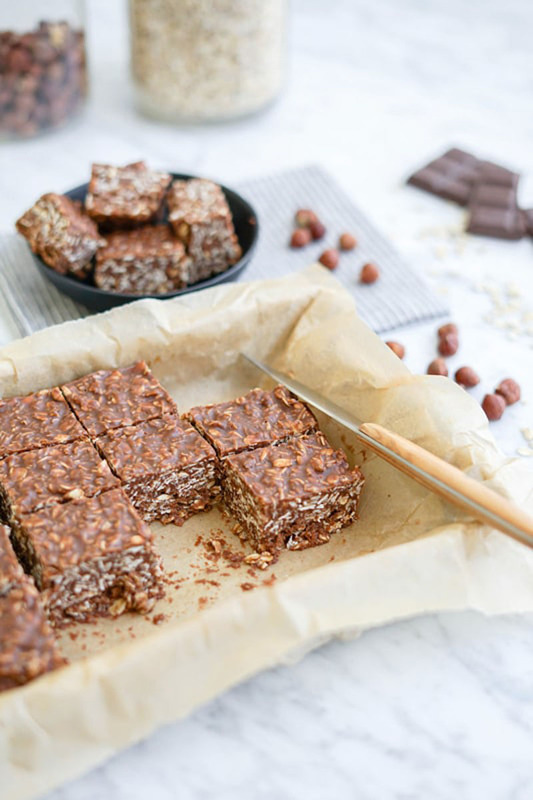 Oatmeal bars are the bomb! We all trick our kids into eating healthy things sometimes, right?! And if they end up liking the healthier versions of our classic treats and desserts more than the originals, that’s ok too! See the full instructions on Eye Candy Popper. No one can turn down these little bites of crispy ice cream goodness. 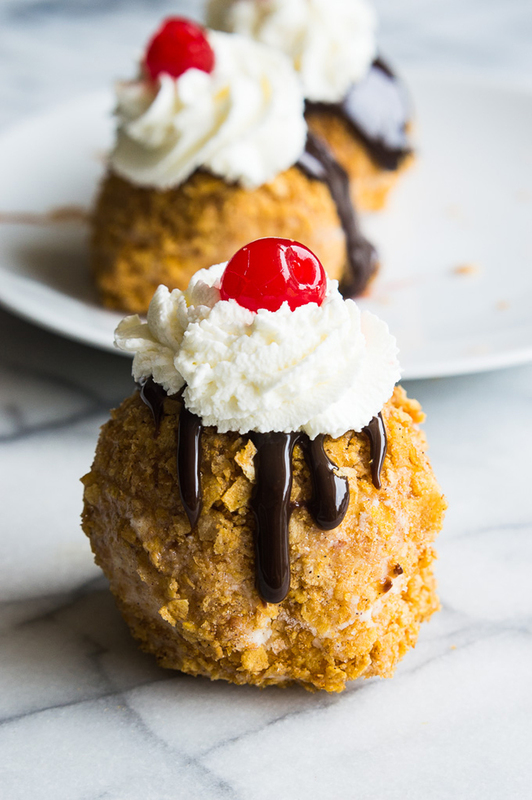 If you enjoy making fried ice cream but aren’t so crazy about the mess, you will love this No Fry Fried Ice Cream. See the full instructions on Your Homebased Mom. 14. 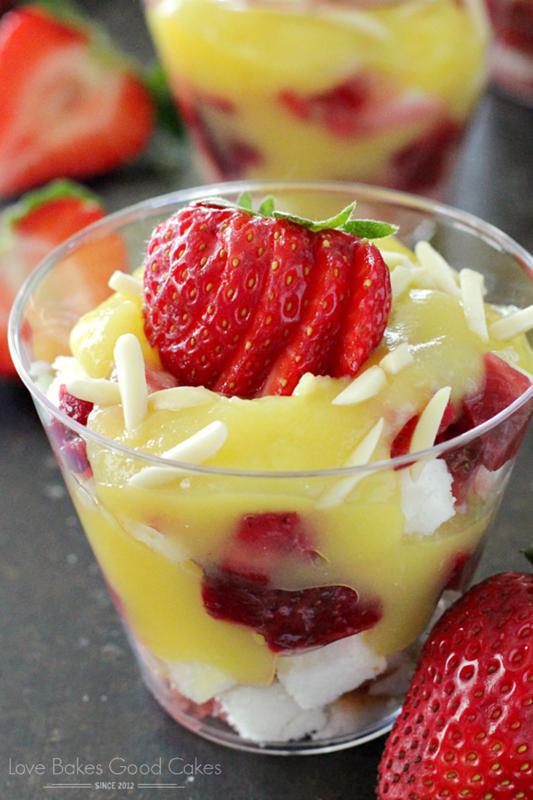 Switch up your average smoothie to a delicious parfait. Parfait provides a bit of sweetness that kids love without adding too much processed sugar. 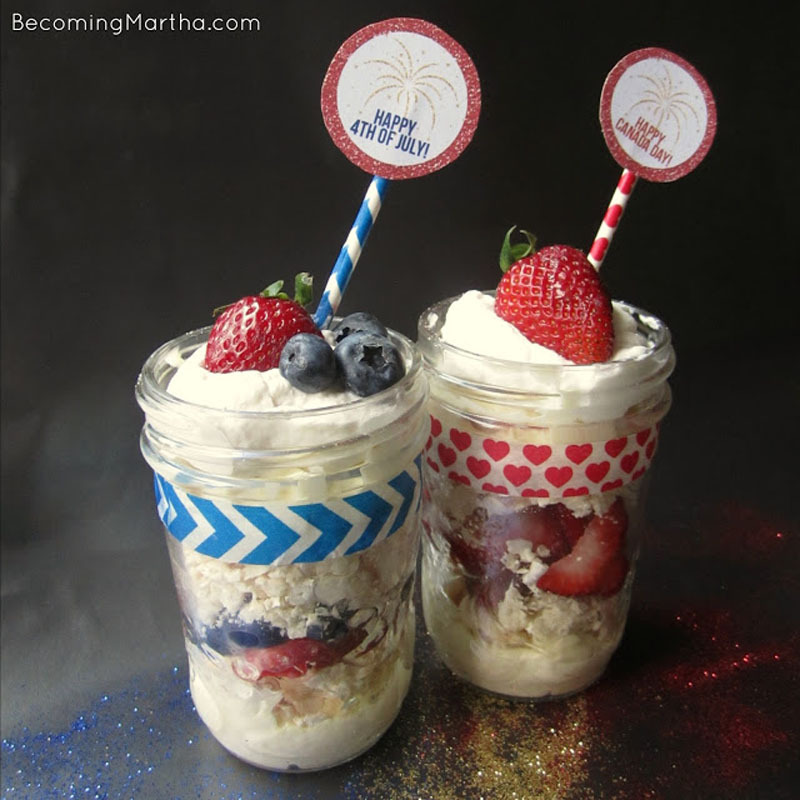 And if you want festive food for the 4th of July, this parfait is the answer. See the full instructions on Becoming Martha. 15. 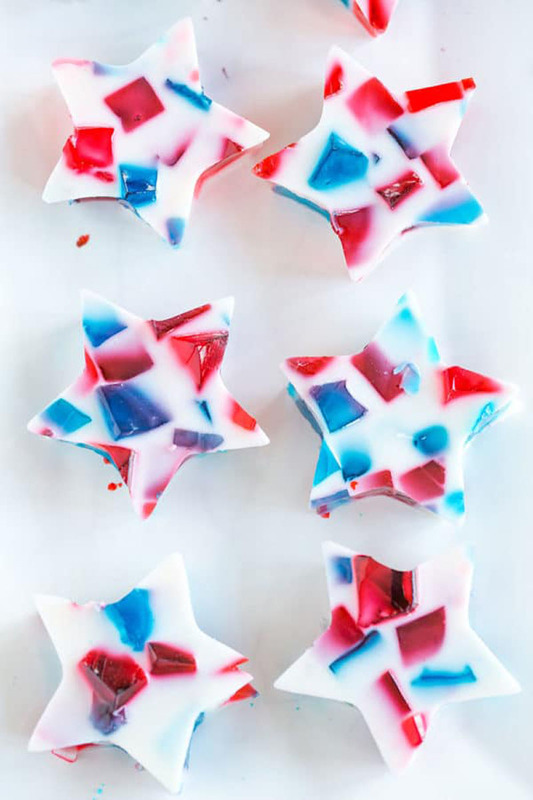 Shoot for the stars with a stained glass Jello dessert. Show your patriotic spirit for the summer holiday with this red, white, and blue stained glass Jello! A mouthful of colorful, wonderful goodness! And who doesn’t love Jello?! 16. Serve up brightly colored treats. 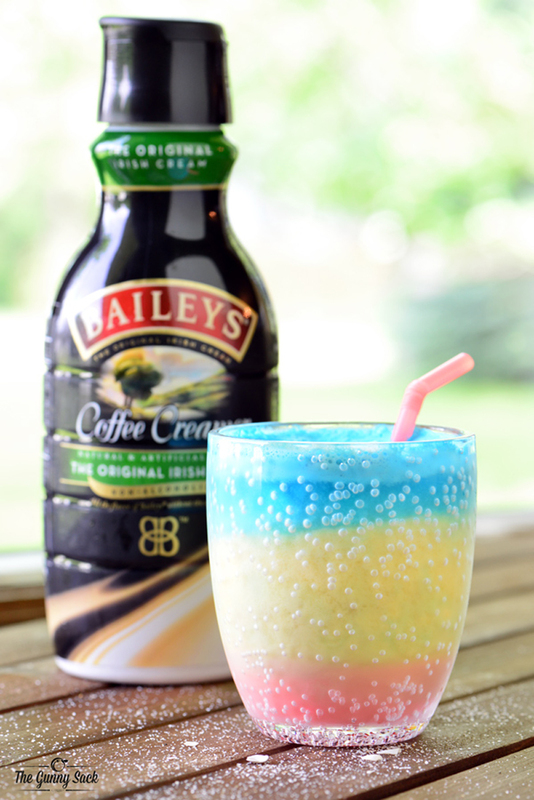 The rainbow craze is crazy, but this recipe from Momma Told Me is amazing! 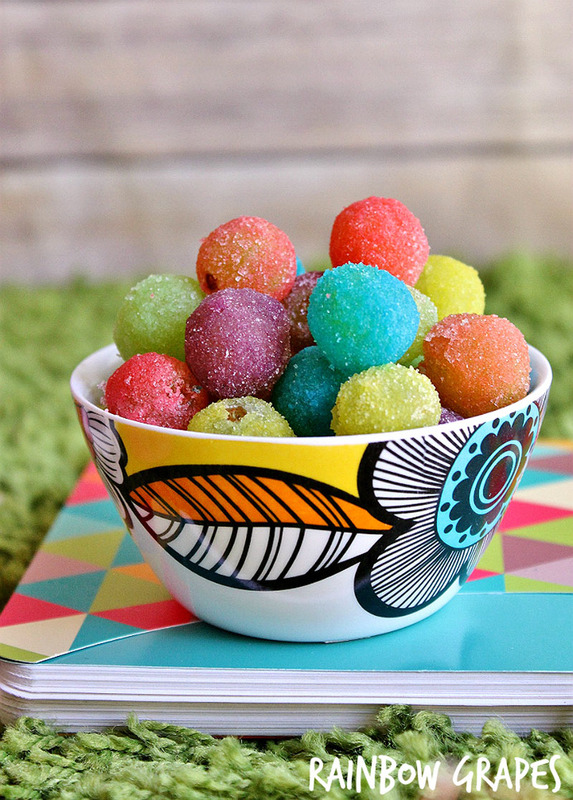 Sure, it’s covered in colored sugar, but they’re grapes, how unhealthy could that be?! Bring on the bright colors! See the full instructions on Momma Told Me. 17. Finish your signature fudge bar with candy. 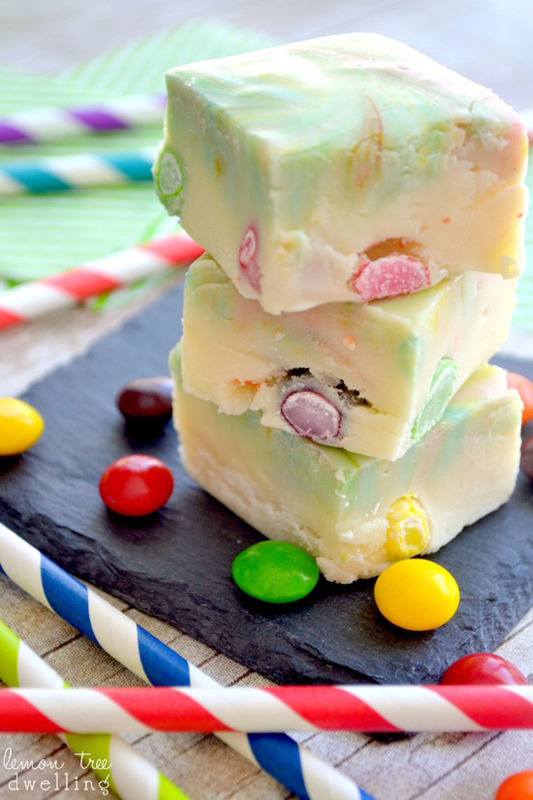 Try experimenting with adding candy to your favorite fudge recipe; candy makes everything better! And the kids will love to help! See the full instructions on Lemon Tree Dwelling. 18. Homemade gummies are the way to go! These magical tiny gummy bits are the key to being named “Best Mom Ever”! 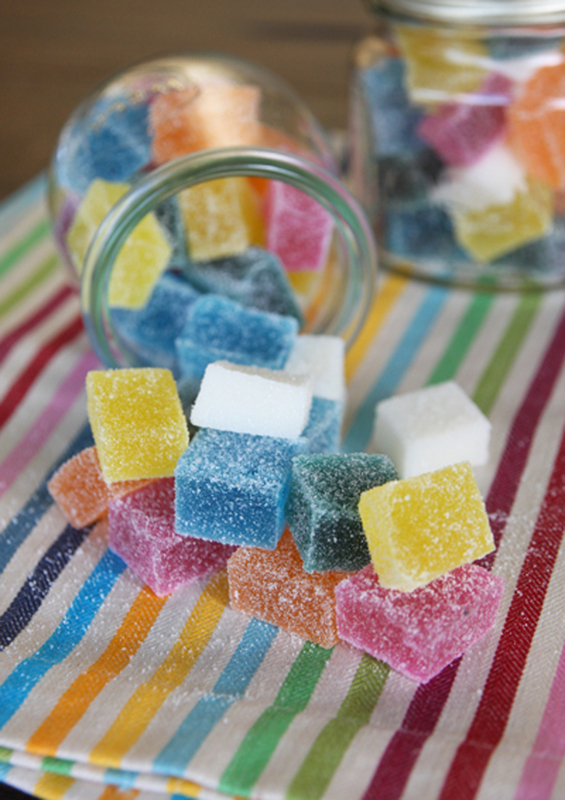 Gelatin adds that wibbly wobbly texture that makes gummies so fun. 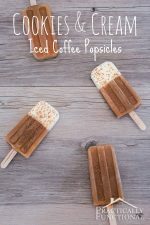 Did you know that you can make these at home? See the full instructions on Our Best Bites. I remember someone once said that “Love is an ice cream sundae, with all the marvelous coverings.” This simple, flavorful dessert is a perfect way to get kids involved in the kitchen. See the full instructions on House of Yumm. 20. Chocolate, mint, and pie is your winning combo. Try cramming some fresh mint flavor into your sweets for a refreshing summertime treat. 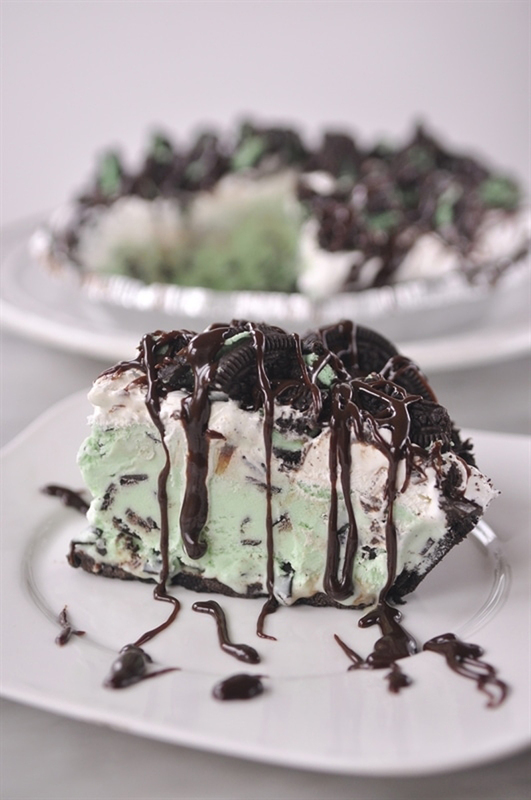 Mint chocolate ice cream is great on its own but even better in a delicious pie, right?! 21. Whisk it up with strawberry shortcake parfaits. Lots of kids go nuts over anything with strawberries in it. This sweet dessert is a fast one; it’s ready in a matter of minutes! See the full instructions on Love Bakes Good Cakes. 22. 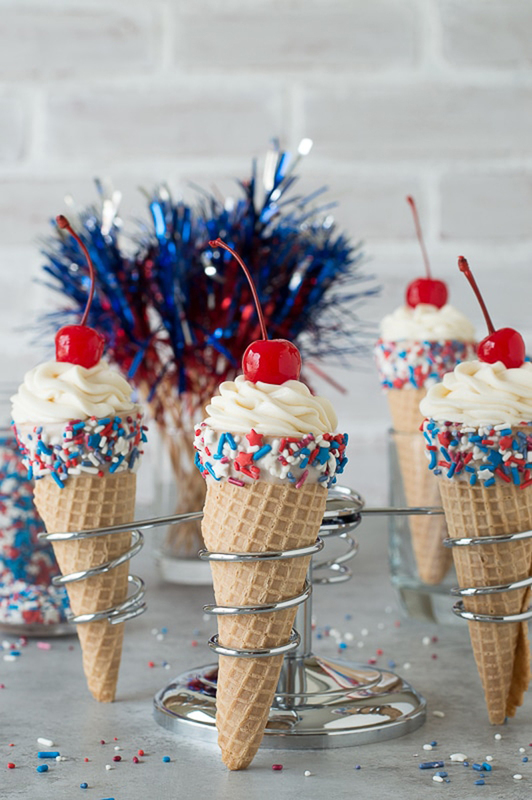 Bring out your ice cream cones and a sense of fun. It’s like a cannoli, but with cheesecake! 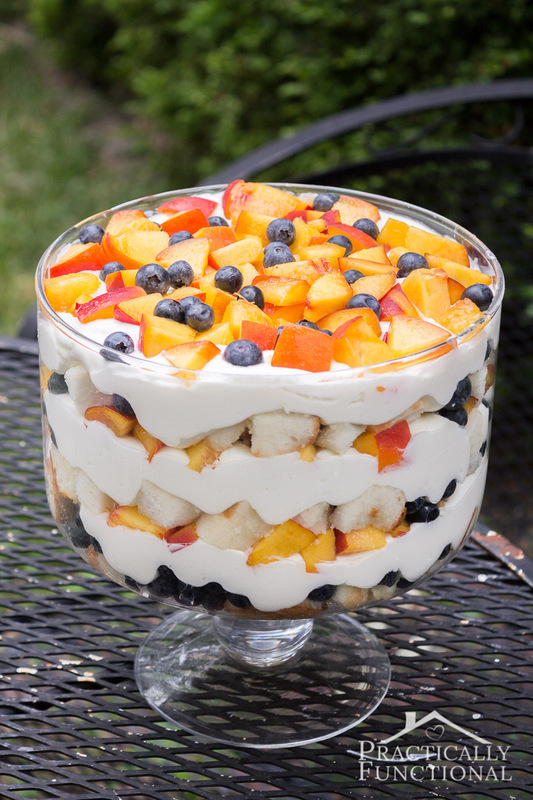 Just the appearance will take your 4th of July dessert to the next level, and that’s before you even bite into it! See the full instructions on The First Year. 23. 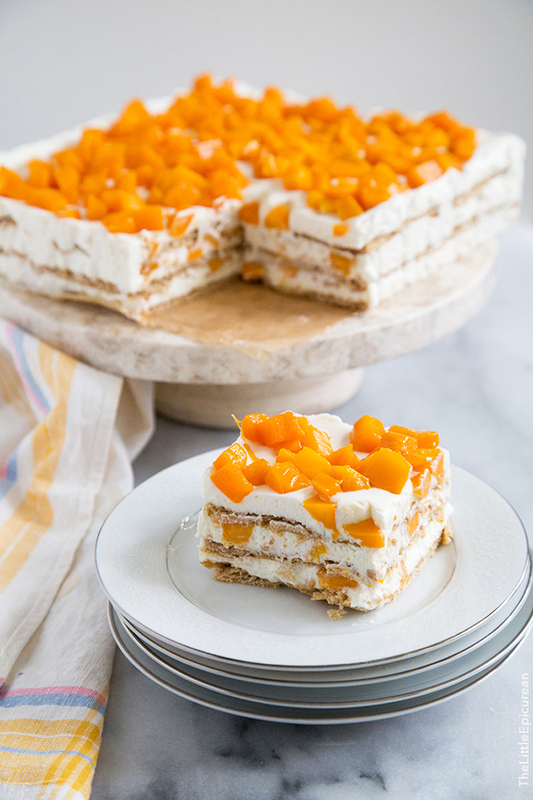 Think outside the box with a delightful icebox cake. It may look super fancy, but this dessert is totally achievable! Plus mangoes are great in everything! See the full instructions on The Little Epicurean. 24. 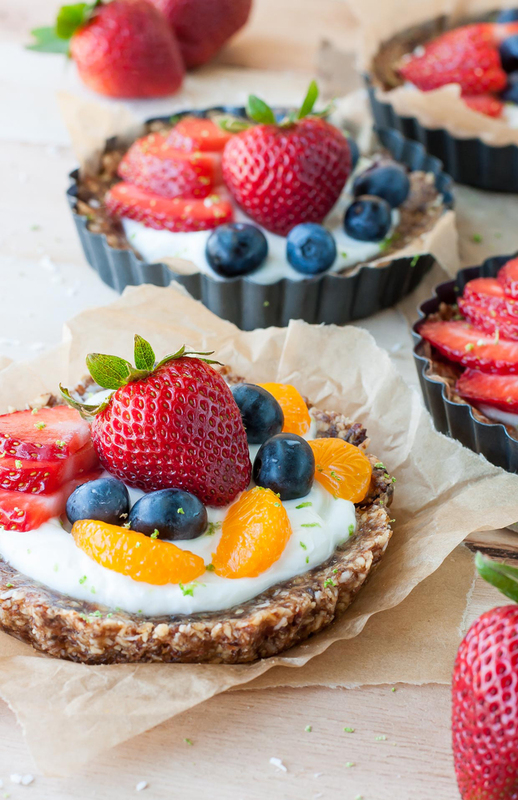 This yogurt tart is breakfast AND dessert! Those long, hot days of summer makes you crave cool, refreshing desserts like this one. Even picky eaters will adore this. 25. 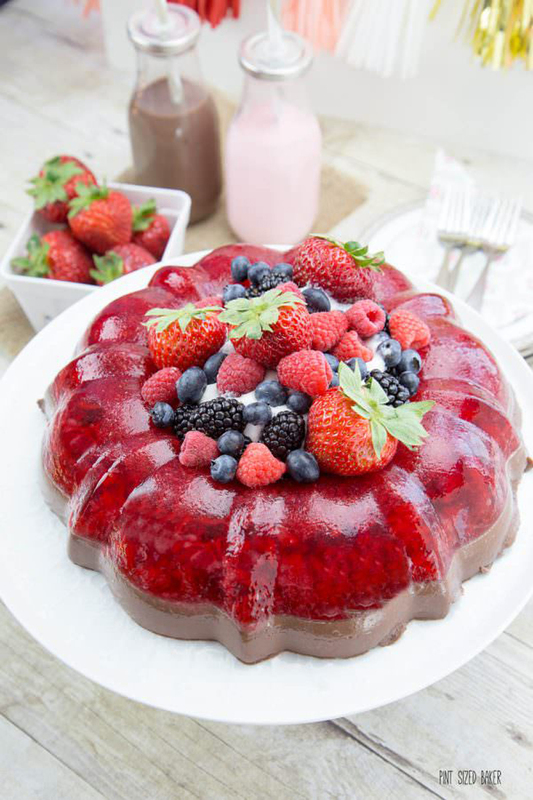 Bring back the popular Jello mold for your summer party. This beautiful Jello mold is sure to catch the eye of everyone that sees it. It’s the perfect centerpiece for any summer party. See the full instructions on Pint Sized Baker. 26. What’s cooler than an out-of-this-world beverage? See the full instructions on The Gunny Sack. « What Is A Cricut Machine & What Can I Do With It? So many delicious ideas! Thanks for including one of mine.